Periscope is proving itself to be a very powerful social media tool, and skilled businesses are using it in innovative ways for marketing. Let’s look at some ways to use Periscope to market your business. 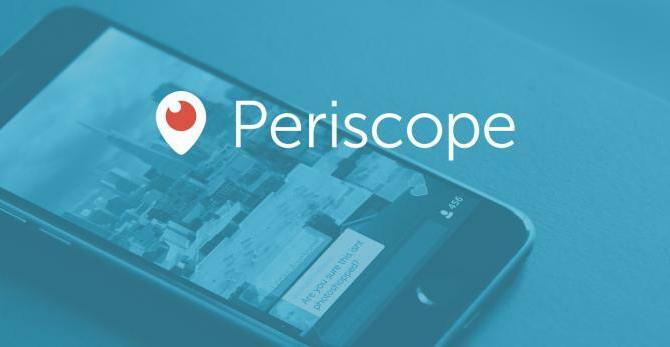 If your business is launching a new product or product line, be sure to show your audience the details on Periscope. You can even do an interactive demonstration by answering live questions from viewers. Be sure to show off new product features, exciting package, and pertinent information about the product. Periscope is a great way to offer news up to your online community before the media has a chance to rehash it. It could take hours to put together a quality blog post on an innovation within your industry. On Periscope, however, you can discuss the trends in the marketplace live. Then use the conversation you’ve had with your viewers to write a post, produce a training video, or generate high quality content. Sharing highly relevant content allows you to show that you’re the go-to person in your industry. This helps others to perceive you as an authority figure, and sets you above your competition automatically. Periscope is an awesome way to connect with the people who have influence within your industry — the real movers and shakers. If your goal is to get noticed, it’s important to show up in their broadcasts regularly, make high quality comments, ask reasonable and interesting questions, and share their broadcasts throughout your social media networks. Periscope can also help you work towards developing closer relationships with industry leaders that you’ve met in person. If you need to remember to tune in for specific broadcasts, make sure to turn on your push notifications. Then, be sure to mute the notifications for everyone except the specific individuals that you want to stay connected with. Once you know that specific people broadcast at the same time every day, or have a regular weekly schedule, you can stick a reminder on your calendar so that you can be sure to tune in at the appropriate time. If your goal is to connect with your viewers on a deeper level, use Periscope to provide them with a glimpse into your personal life, or to take them behind the scenes and show them how you run your business. You can even begin a conversation by answering several questions from your audience during the broadcast itself. If you write books, share a few teasers about what you’re working on, or ask your audience for feedback about what you’re currently writing. If you operate a store, consider providing a peek at items that have recently arrived. Periscope broadcasts are an excellent opportunity to grow the size of your marketing email list, as well. During your broadcast, be sure to ask your viewers to comment with their email address to sign up for your list. You can then add the addresses to your database at a later time.